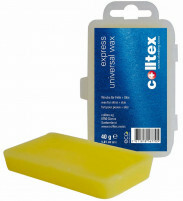 Colltex is the Swiss company that invented adhesive climbing skins in 1968. Since then, they’ve continued to refine their formulas and manufacturing process to produce quality mohair, nylon, and mixed skins. Colltex carpets are used by champion racers and mountain guides throughout Europe. Purple is the new pink! The Colltex PDG race skins are top of the line Swiss technology. Found underneath the skis of many European champions, the PDG skins are 100% mohair with a special glide treatment. They weigh in at 20% less than other mohair skins ..
Combin must be German for “speed,” because the new Colltex skins nail the light ‘n fast concept that we hold so dear. Building on the formulas that have made the brand a regional favorite, the Combin skin features supple material with the grip of a much h..
Colltex has taken mohair to the extreme. They did this by naming their 100% mohair skins “Colltex Extreme” and by coloring the skins red which is the fastest color (at least in cars). If that isn’t enough to scare you off then you will be extremely please..
Colltex invented the adhesive climbing skin in the sixties, and they continue to produce amazing skins that are chosen by guides and companies such as Atomic, Movement, and Ski Trab. The Mix formula is a workhorse blend of 65% mohair and 35% nylon that ge.. 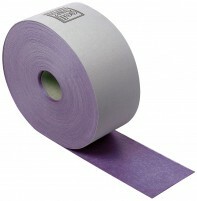 The most affordable way to get your purple on. Buy the PDG skins by the centimeter to avoid waste. Select your width and type in the number of centimeters you desire in the quantity field. We will cut a length off the roll and send it your way. You can fa.. Skins are made of tips, tails, glue, and fur. Except the fur, these can all be replaced. Here is our current lineup of parts from Colltex, the makers of Colltex skins. Ace Tip Attachments - Combining the security of a standard tip attachment with the s..